IRCTC - Start the IRCTC registration right now! It is compulsory to fill in the IRCTC registration form to become a regisered member of IRCTC site and hence to enjoy the benefits offered by the IRCTC site. You can book tickets, cancel tickets, check PNR status of the tickets, check the train running status, check for seat availbilty and so on. 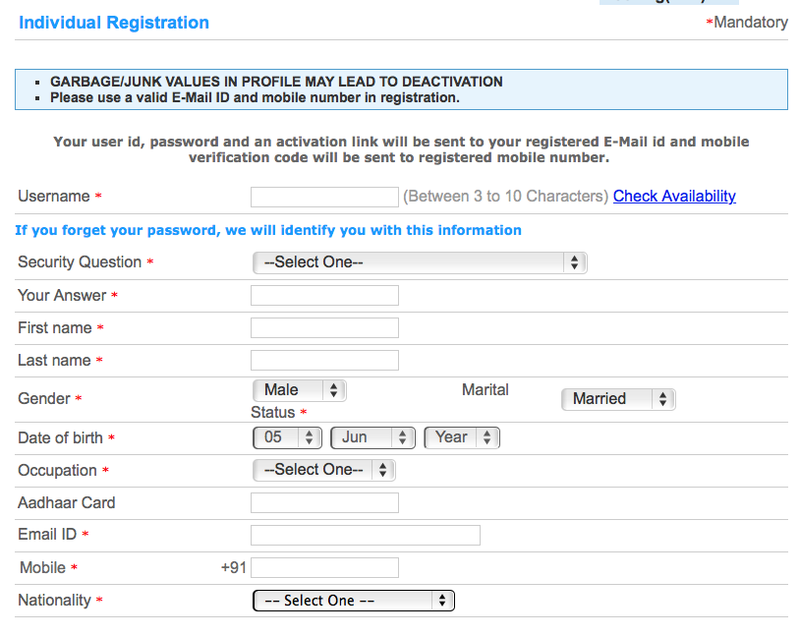 The IRCTC registration is nothing but the sign up process. The IRCTC form gets opened either if you click IRCTC registration or by clicking sign up under the login form. The red star fields are mandatory fields. Mandatory is compulsory fields. As per the instruction given in the IRCTC registration form provide your correct and accurate Email ID and phone number. The user name and password will be sent only to this Email ID what you provide in the registration form. The phone number verification sill be done only by sending the code to the mobile number which you provide here. So please take care whether the E-mail ID and the password are correct. You can type your user name which should be between 3 to 10 characters. After selecting your user name check for the availabilty of that user name. Select any one of the secret question from the drop down questions provided in the form and then type the answer for the secret question. Provide your firstname and the lastname in the specified box. Select your Gender and Martial status from the drop down that appears. Select your occupation from the drop down which appears. Provide your aadhar card number but this field is not mandatory. Provide your E-mail ID and your mobile number. Make sure that you have provided the accurate data. Select your nationality from the drop down which appears. Subscribe for other services mentioned , if you wish. Finally enter the text from image and then click submit button. After completing this registration form, you will get the password to your E-mail ID and your mobile number will be verified. Using the password sent to your E-mail ID you can login to the IRCTC site and start booking your tickets.